So much fun! 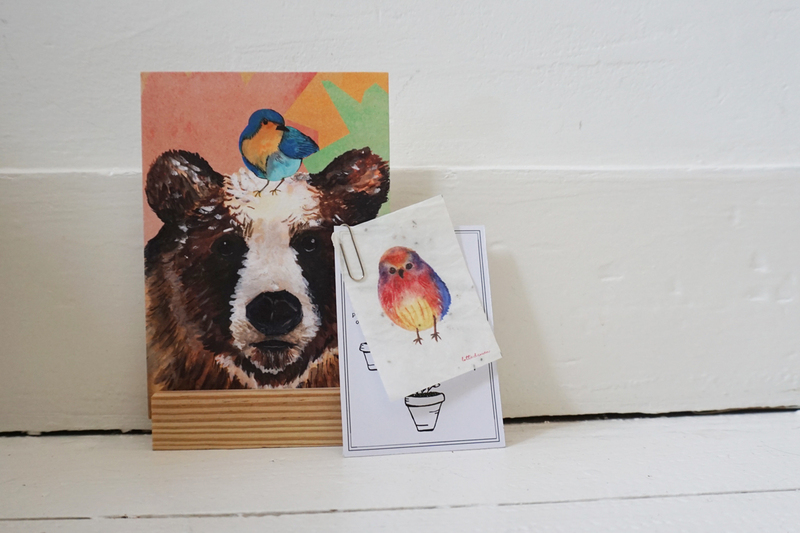 Send a bunch of flowers that fits through the mailbox in the form of a cute print of a colorful bird on blooming growing paper. 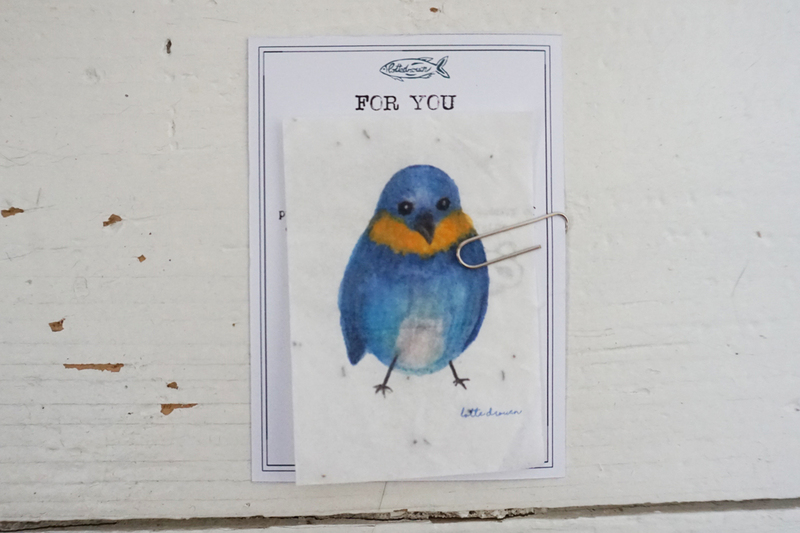 This small ‘extra’ gift can be put with a present or card. 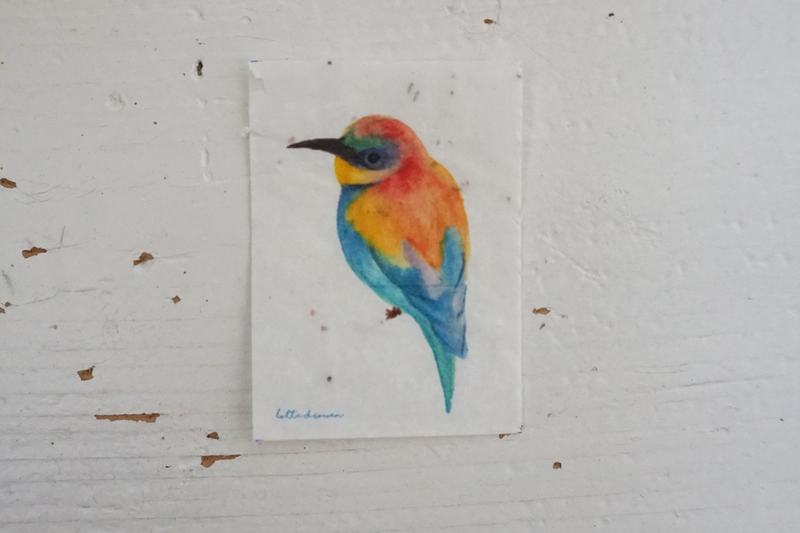 There are four different bird prints. Flowering paper is paper from which beautiful flowers grow after planting; unique and sustainable. 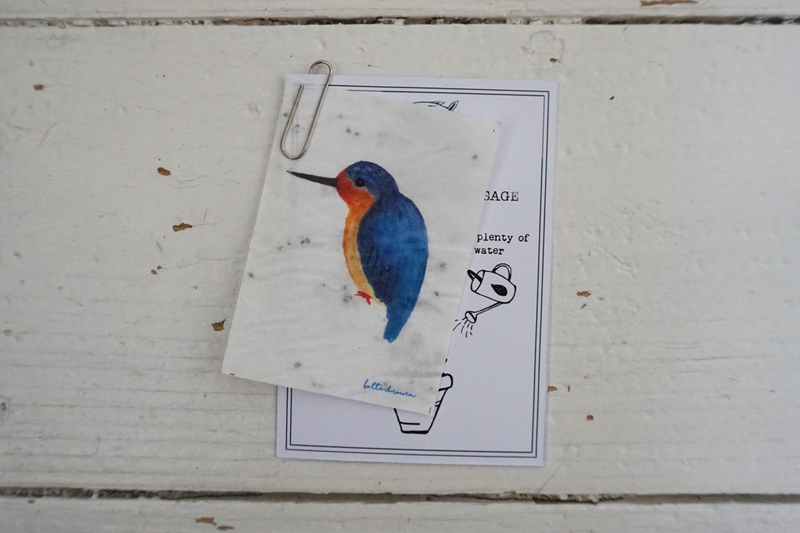 The paper is made manually in the Netherlands according to a unique process; 2 layers of thin and water-soluble (chlorine-free) paper between which seeds are stuck with starch. 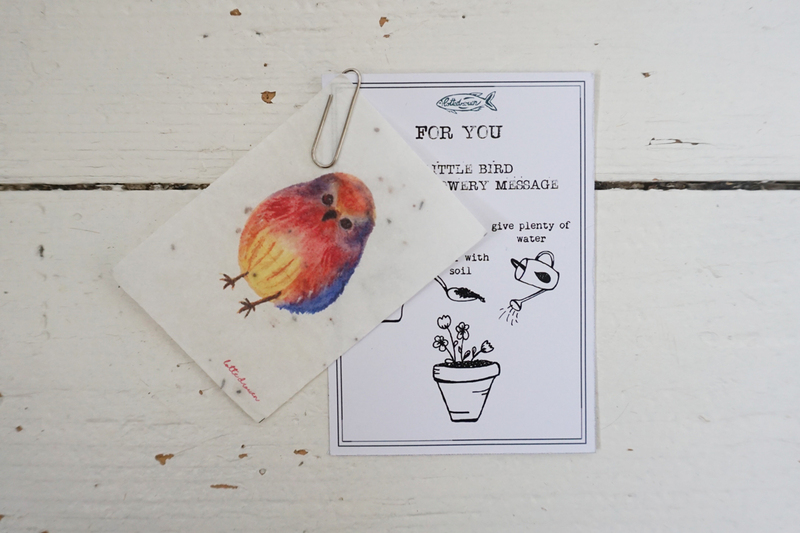 With the bird prints comes a card with the text: ‘For you, A little bird with a flowery message’ and 4 pictures that explain how you can plant this ‘little birds’. Easy! 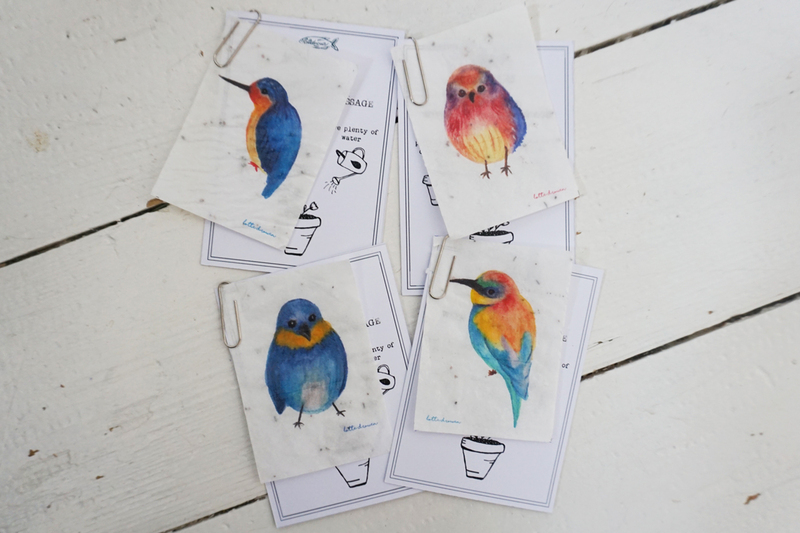 The birds are printed on growing paper is 7.5 cm x 5.2 cm.